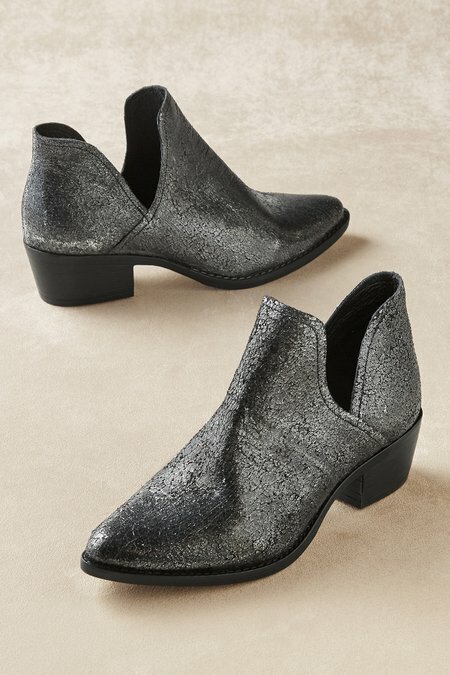 Rich leather with a frosted metallic finish glistens with every step you take in these sleek pull-on booties - exceptional everyday footwear with an updated deep split shaft, pointed toe and stacked wood heel. A textile lining, cushy footbed and synthetic sole complete the look. 1" heel.